Here at the Law Offices of David. L. Hirschberg, P.A. our experienced divorce lawyer has a history of representing high net worth clients and is all too well aware of the fact that wealthy spouses frequently attempt to hide assets from their partner when getting divorced. To be clear, hiding assets during a divorce in Florida is illegal and can carry hefty consequences, some of which are outlined below. When a divorcing spouse is caught attempting to hide assets, the court may punish the offending spouse by reallocating a greater portion of the couple’s marital assets to the unoffending spouse. Under Florida’s state divorce laws, family law courts are required to equitably distribute a divorcing couple’s assets when asked to do so. It is important to note that “equitably” does not necessarily mean a 50/50 split. Rather, an equitable distribution of marital property begins with the premise of a 50/50 distribution, but the court is empowered to divide the assets and liabilities in an unequal manner, if the court deems fair and justified. Therefore, when a couple gets divorced in Florida each spouse is permitted to introduce evidence indicating why it would be fair for them to receive a larger share of the marital assets. Introducing evidence showing that one spouse attempted to hide marital assets can often persuade the court to allocate a larger amount of marital assets to the unoffending spouse and can cost the offending spouse a great deal of money. Additionally, upon discovering that a spouse is hiding assets the court will often order the offending spouse to pay the other spouse’s legal and/or private investigator fees. Additionally, a divorcing spouse who hides assets after having been ordered by a Florida court to disclose such assets can be held in contempt of court. An individual can generally be held in contempt of court if they exhibit behavior that defies the court’s authority, justice, or dignity. In Florida, judges have the power to hold an individual in either civil contempt or in criminal contempt, however spouses who are caught hiding assets, and consequently disobeying court orders, are often found to be in civil contempt rather than criminal contempt. Being held in contempt of court is a serious matter which can result in sanctions, including but not limited to fines and/or jail time. Furthermore, a spouse who lied under oath while attempting to hide marital assets may face criminal charges for perjury (i.e. knowingly making a false statement during the course of an official proceeding). 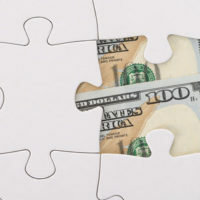 Additionally, under some circumstances, a spouse may also face criminal fraud charges if they intentionally misrepresented material facts while attempting to hide assets. If you are contemplating divorcing your spouse and believe that he/she is attempting to hide marital assets, now is the time to act. Contact a local divorce attorney without delay. It is particularly important for wealthy individuals to seek legal counsel immediately as your spouse may be attempting to cheat you out of a considerable amount of money. To discuss your legal options with an experienced high net worth divorce attorney call the Law Offices of David. L. Hirschberg, P.A. at (561) 288-8620.